The snow may be gone but that doesn't mean we're not occasionally stuck inside on cold, rainy days. We had such a day last week. Abe is at the age where he is starting to understand and enjoy playing games, so I threw together this color matching game to help us pass the time. 2. Print off color cards or make your own, and lay them out with enough room for kids to pile toys on them. We used bowls to keep the little pieces contained. 3. 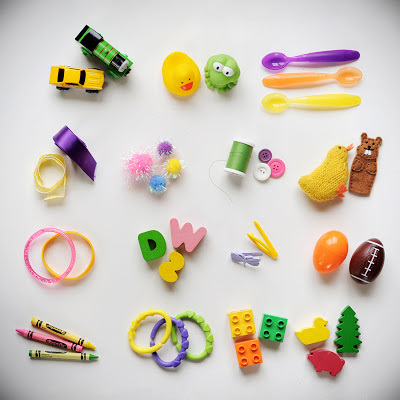 Give your child the basket of toys (or a handful at a time) and let them sort the items by color. 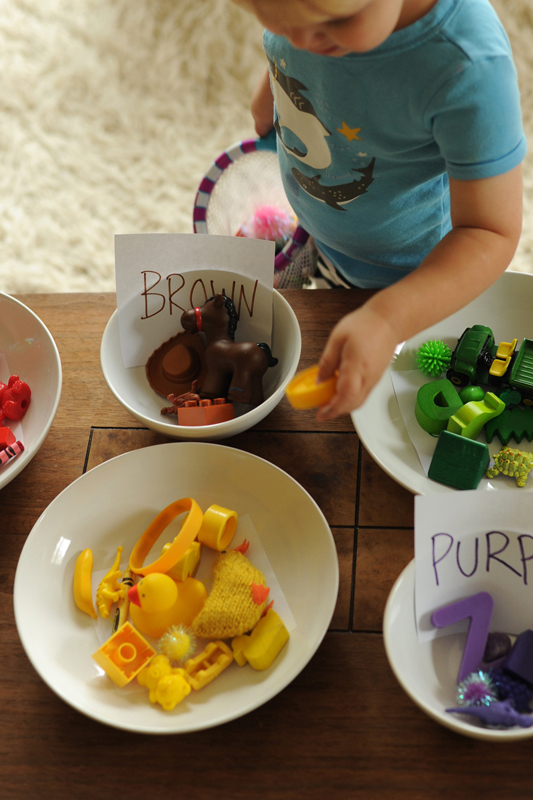 For younger toddlers, start with 2-3 items per color and only a few colors. Add more items and/or colors whenever your child needs more of a challenge. When we were done, I just threw the items into a big bowl along with some color cards I made (you can download them here), and put it on the shelf so we can play it again. Not as much fun as a Barrel of Monkeys, but at least it's one more game in our Monkey & Memory line up. What games do your kids enjoy? This is too cute! 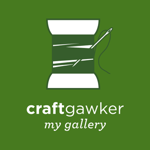 Love all of your content on Pinterest as well! I encourage you to check out our website: Bettyvision.com to create inspiration/vision boards with similar content (travel, fashion, DIY, etc. ), I really think you'd enjoy it! Plus you can share it with other members in the community who'd definitely love to see what you have! Thanks for sharing this, love it! !